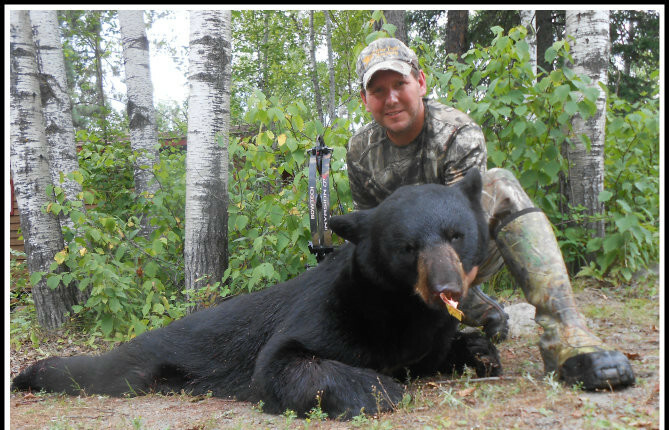 Experience the ultimate in Ontario Canada bear hunting with a bear hunting outfitter you know you can trust. 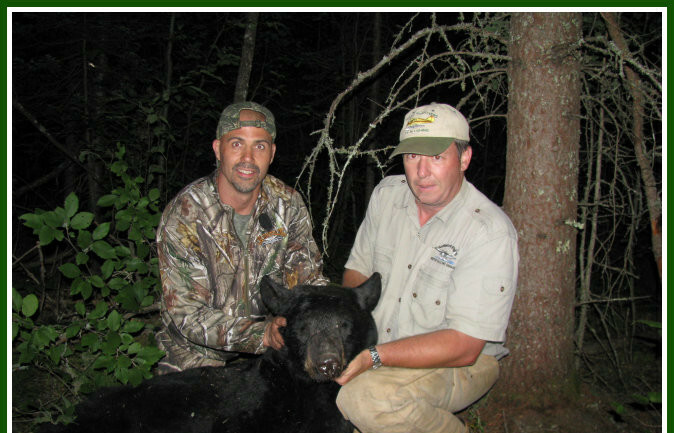 Here at Pickerel Lake Outfitters we will make your Ontario bear hunting vacation the thrilling experience of a lifetime, with memories to savor and a new yearly tradition for you and your family. Located in the far northwestern region of Ontario, Pickerel Lake Outfitters’ bear management area is home to a huge population of black bears. The black bear numbers having only grown since the cancellation of the spring black bear hunting season back at the end of the 1990s. Unlike many outfitters, we live and work in our bear management area and have done so for over 20 years, providing not only Bear hunting trips but a fly-in fishing outpost service in the summertime for our clients. We know the land and the animals that you’ll find here. A gorgeous landscape of old growth forest blended with logged-over and burned out areas means plenty of berries and lots of cover, an ideal habitat for the black bear. 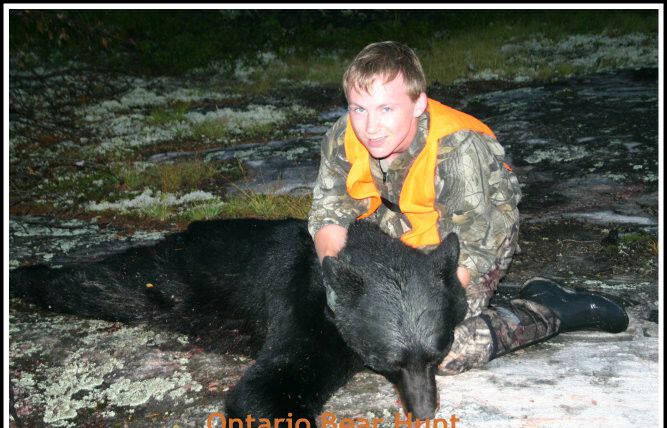 As the leading Ontario bear hunting outfitter, we’ve built our reputation on service and results. We enjoy many return clients who come back year after year for the experience they can only find at Pickerel Lake. We offer three different choices for your bear hunting experience: a Standard Bear Hunt , a Fly-in Outpost Bear Hunt or a Fully Guided Bear Hunting Trip. All three are very popular, and each offers unique benefits for the hunter. New for the 2016 season is a return of the Spring Bear Hunt. 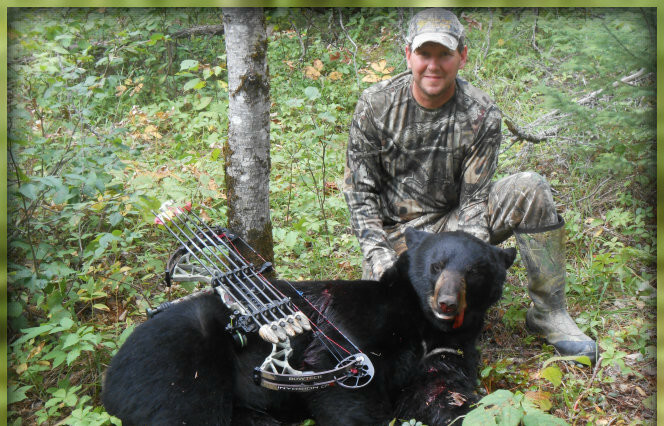 Check out our Rates, and Contact Us today to book your Ontario Bear hunting trip You’ll be glad you did. Copyright © 2019 Pickerel Lake Outfitters, All Rights Reserved.